ROCHESTER, N.Y. -- Sally Norton, Ph.D., R.N., F.P.C.N., F.A.A.N., a nationally recognized expert in research dedicated to improving the care of patients with advanced illnesses, has been honored with the prestigious Distinguished Researcher Award from the Hospice & Palliative Nurses Association (HPNA). The award recognizes nurse researchers who have made significant contributions to the science that has allowed the specialty of palliative nursing to evolve and mature. Norton’s well-established program of research is focused on palliative care and end-of-life decision-making, with emphasis on the communication processes and practice patterns of care delivery in the acute and long-term care settings. Norton, the Independence Chair in Nursing and Palliative Care at the University of Rochester School of Nursing, has successfully worked across professions to improve communication and understand the systems surrounding palliative care and hospice delivery in order to pinpoint the approaches most meaningful to patients and families, leading to the highest quality outcomes. Over the past two decades, she has played a role in dozens of funded research studies on palliative care and has authored (or co-authored) more than 70 papers. Norton, who received the award Feb. 25 at the association’s annual membership meeting in Phoenix, is a fellow of the HPNA and the American Academy of Nursing. 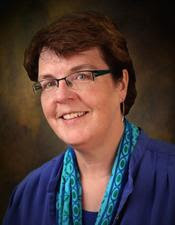 She has served HPNA as a member and former chair of the Research Interest Group, and co-chaired the national task force, Measuring What Matters, a joint initiative of the HPNA and the American Academy of Hospice and Palliative Care Medicine. Norton has also represented HPNA on several national quality-related task forces. A member of the UR School of Nursing faculty since 2001, Norton was named Palliative Care Nurse of the Year by the March of Dimes in 2013 and a Distinguished Practitioner by the National Academies of Practice in 2006. She earned her bachelor’s degree from the University of Iowa and her master’s and Ph.D. from the University of Wisconsin-Madison.